Todays post comes to you from Rehoboth Cemetery. I found this cemetery while out for a ride and stopped by to see what was there. What I found was these really old graves sites and some amazing photo opportunities. 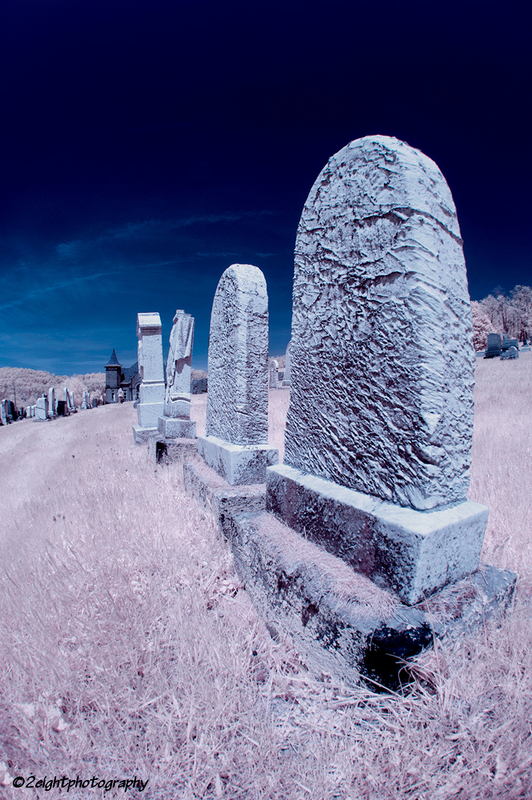 This one was shot using a fisheye lens and my converted D100 Nikon for the infrared. 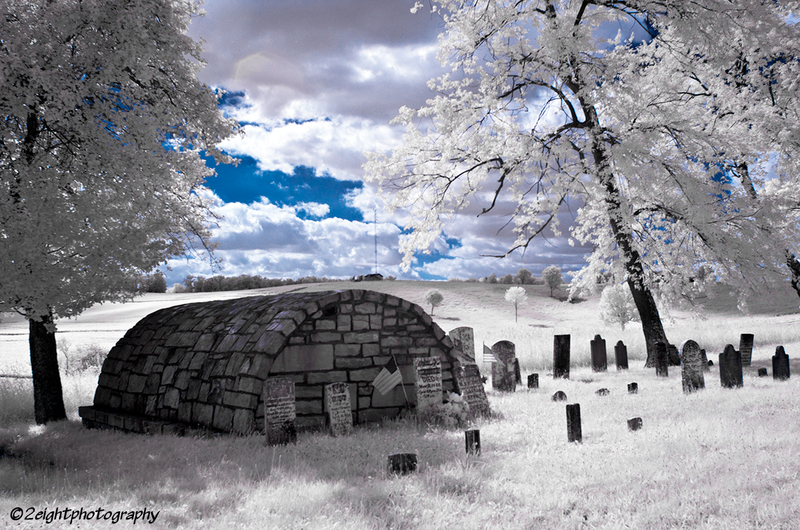 On a side note, I can’t wait to get out with the IR camera again. Tonights post is a photo I took with an Infrared Camera of the small building that we cannot seem to figure out what it is. I use a Nikon that I had converted to a color IR camera. I think it gives the cemetery a unique look.